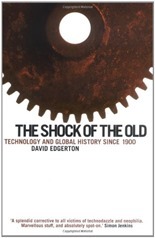 The Shock of the Old by David Edgerton is a history of technology in the 20th century. A central motivation of the book is that, according to the author, other histories of technology are wrong in that they focus overly on the dates and places of invention and pay little attention to the subsequent dissemination and use of technologies. The book is divided thematically covering significance, time, production, maintenance, nations, war, killing and invention. Significance reports on the quantitative, economic significance of a technology, something on which there is surprisingly little data. A recurring theme is the persistence of things we might consider to have been replaced by new technology, the horse, for example. It’s perhaps not surprising that a huge number of horses were used during the First World War but the German’s, the masters of the mechanised blitzkrieg, used 625,000 horses in 1941 when they invaded the Soviet Union. This isn’t the end of the story of animal power: Cuba, as a result of sanctions and the fall of the Soviet Union was using nearly 400,000 oxen by the end of the 1990s. The same goes for battleships and military aircraft. When Britain and Argentina fought over the Falkland Islands in 1982, the Belgrano, originally commissioned into the US Navy in 1939 was sunk by 21-inch MK8 torpedoes originally designed in 1927! The Falklands airstrips were bombed from Britain by Vulcan bombers refuelled by Victor in-flight tankers, originally built in the 1950s. The reason for this is that the persistent technology actually does it’s job pretty well, the cost of replacing it for marginal benefit is too high and maintenance and repair means that to a degree these technological artefacts have been almost entirely rebuilt. The time chapter expands on the idea that the introduction of technologies to different places is not simply a case of timeshifting, it depends on the local context. We find, for example, that horse draw carts are constructed from the parts of cars. And that corrugated iron and asbestos-cement are the material of choice for construction in the new slums of the developing world. Edgerton refers to these as ‘creole’ technologies – old technologies which have been repurposed into a new life. In terms of technology and economic growth, it has really been mass production which has lead directly and obviously to economic growth particularly in the 30 years after the Second World War, known as the ‘long boom’. And whilst there was a boom in new technologies, all around the world the oldest technology – agriculture was also experiencing a boom in productivity – overshadowed by the new things. The German V-2 rocket killed more people in its production than it did in its use. The inventor of the Aga cooking range was a Nobel prize winning physicist. For a scientist this book makes for an uncomfortable read in places since we come to the topic with some preconceived ideas and position, which are not necessarily grounded in the best of historical methods. For instance, Edgerton highlights that R&D spend just doesn’t correlate with economic growth. And that to a large degree the nation of invention is not the nation which benefits from an invention. The Shock of the Old is a book I can use. I can take it in two hands and bash it over the heads of every techno-nerd, computer geek and neophiliac futurologist I meet! It’s a mistake to think of all scientists and computer geeks as being neophiliac. One of my colleagues works using an IBM Model M keyboard which we recently established was older than our intern, he also prefers the VIM editor – based on technology born in the 1970s. In the laboratory, the favoured computer language for scientific computation is still often FORTRAN, invented in the 1950s. Thinking back over the other books I’ve read on the history of technology, for example A Computer Called LEO, Fire & Steam, The Subterranean Railway, Empire of the Clouds, The Idea Factory and The Backroom Boys. It is true to say they have very much focussed on single technologies or places but to my mind they have generally been pragmatic about the impact on society of their chosen subject. 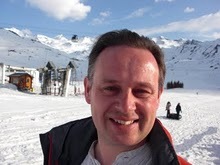 The authors have each had a definite passion for their topic leading to regret for what might have been: a thriving British aircraft industry, computer industry and so forth. But they don’t seem to provide the litany of dates and inventions of which Edgerton accuses them. Despite this The Shock of the Old is readable, the author knows his field and provides a different viewpoint on the history of technology, more overarching, not so besotted. I’ll certainly be looking out for more of his books.